I have finally put myself on a spending ban for makeup, as I have way too much and I want to use what I have. That doesn’t extend to Lush, as my bath stash has been running seriously low for a while now. The main reason for this haul is the new design of Think Pink, which I have been waiting for forever! 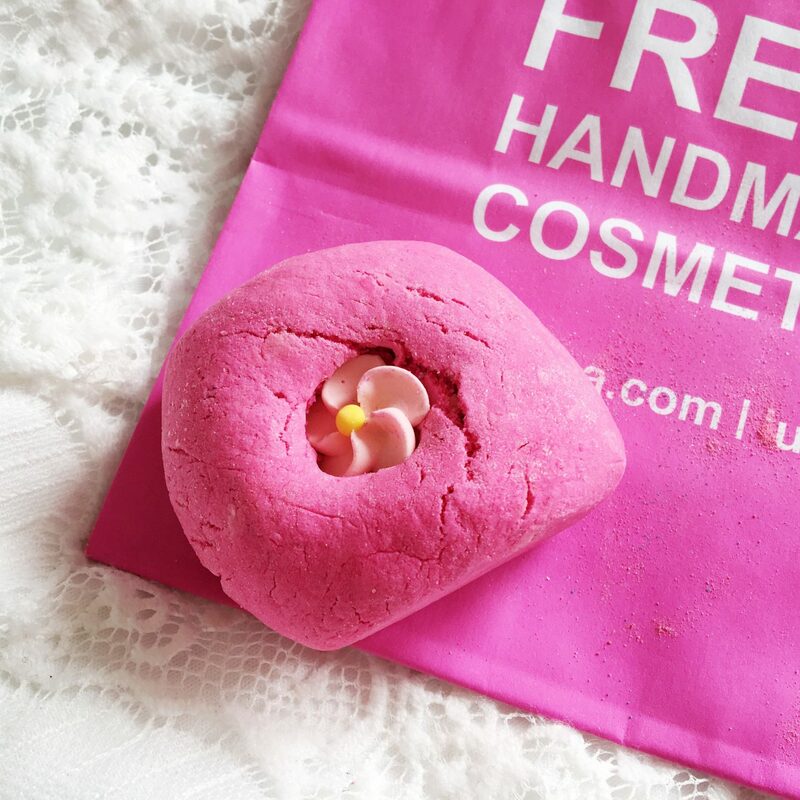 This haul is mainly old favourites, but I love writing about Lush, so thought I’d share. I also spoke about this on my Instagram stories, and I promised a haul, so here it is! Look at this in all of its new glory! I will admit that I never re purchased this in the old design, as I used others instead. I’m planning on using this ASAP, so a review is on the cards and I already can’t wait! This one contains Vanilla Absolute, Tonka Absolute, Neroli Oil and Lavender Oil to name a few. This costs £4.25, so I’m pretty sure the price has increased with the redesign, but look at it! This is my all time favourite bath bomb, but I haven’t used it in such a long time! This does contain mint and grapefruit which are the two scents I hate the most, but this strangely works. I used to hate it, but I’ve really come around to how fresh it is. The effect this has in the water completely make up for it. It turns the water a deep blue colour with a lot of glitter. If you don’t like glitter then you will hate this. If you want to read more about it, you can click here. I’m pretty sure that I get another one of these every time I make an order from Lush. I adore the scent and the colour is beautiful. If you know what the Rose Jam shower gel smells like, then this is exactly the same. If you don’t know what that shower gel smells like then it contains: Rose Oil, Fair Trade Cocoa Butter, Geranium Oil and Lemon Oil. The rose scent isn’t over powering it is subtle and fresh. It crushes easily and creates a lot of bubbles. I’ve been meaning to pick this up for ages! I like to pair bubble bars with the bath bombs from Bomb cosmetics just so the colour is more intense. The scent of this one isn’t high up on my list, but it is bearable. This one contains: Grapefruit Oil, Avocado Butter, Tangerine Oil and Fair Trade Cocoa Butter. It turns the water a stunning shade a blue with plenty of bubbles. This one costs £3.95 and smells like Lemon Sherbet. This is another that I got to use with Bomb cosmetics products, it’s £2.95 and turns the water pink. This one smells like Snow Fairy and contains: Vanilla Absolute, Fair Trade Cocoa Butter and Almond Oil. I actually haven’t used one of these since they changed the colour to a deeper shade of pink instead of the pale colour. I’ve never used a shampoo or conditioner from Lush, but I’ve heard a lot about this, so I decided to try the smallest version of this, which is £5.45 for 100g. It smells incredible, as it contains: Fresh Strawberries, Vanilla Pod Infusion, Lavender Oil and Benzoin Resinoid to name a few. This is supposed to be good for long and thick hair which is exactly what I have! This is everything I got from Lush! "What is a No Follow Link?" 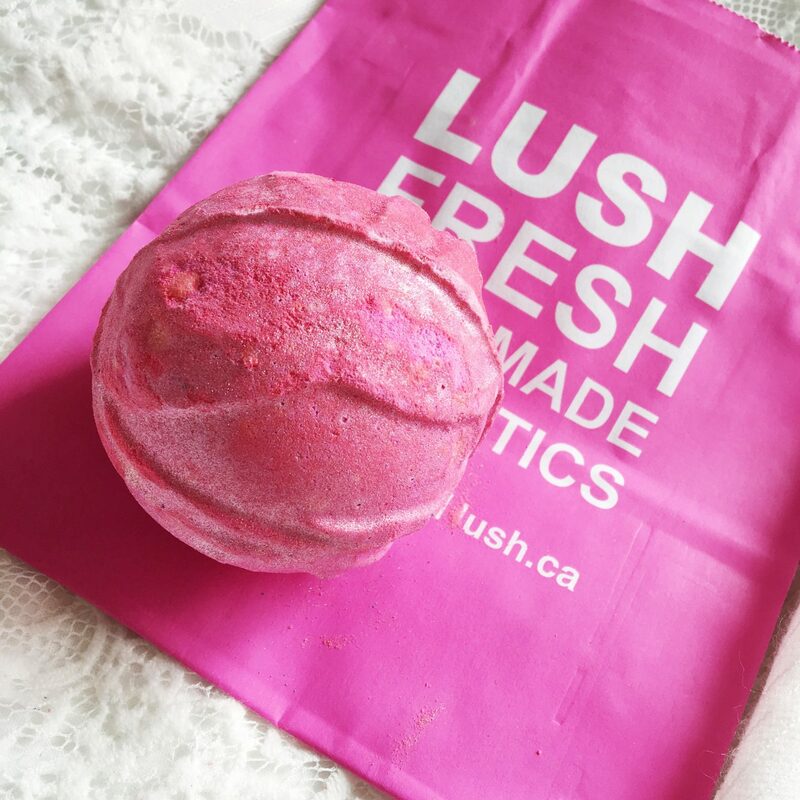 "Lush Think Pink 2017 Bath Bomb Review"
Ah you have made me want to go to lush now! I love the look of Bubble Bar! 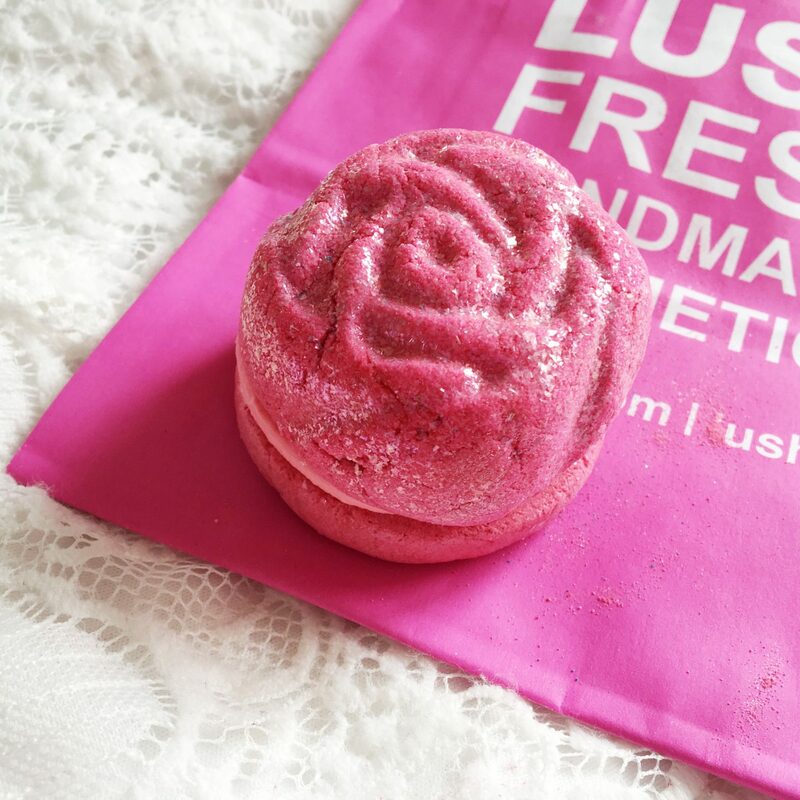 I love the products you picked up, Rose Jam is one of my all time favourites – both the bath bomb and shower gel. 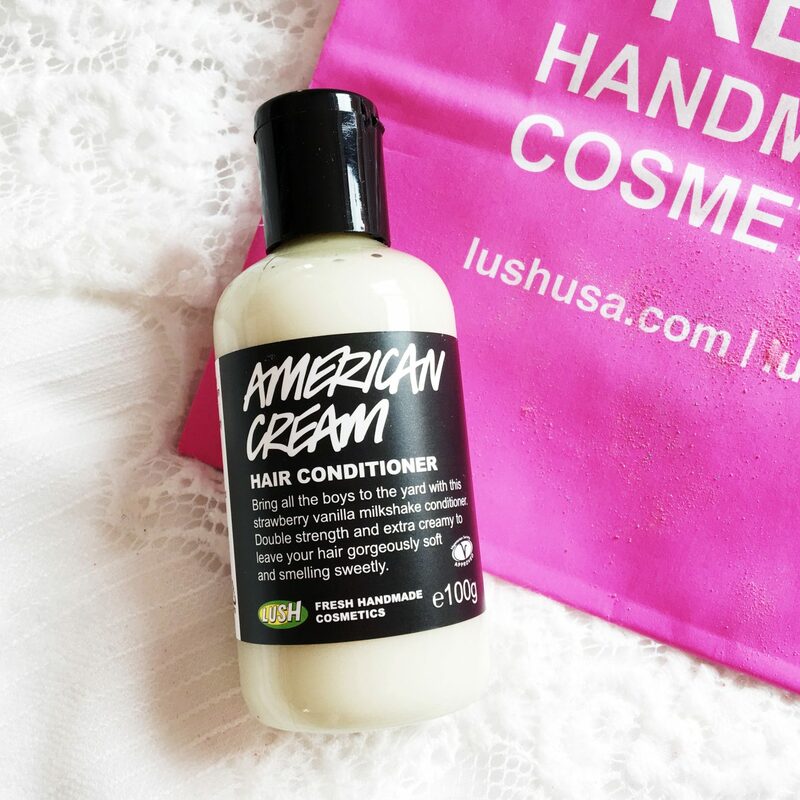 that hair conditioner sounds amazing! I’m definitely going to have to pick that up! Great products you picked up there. Got to love lush for their amazing bath bombs. All I want to do now, after reading this post, is go and raid my local Lush store! I never purchased the old Think Pink bath bomb either, but I’m loving the new design! I’ll have to add that to my basket next time I’m in store! 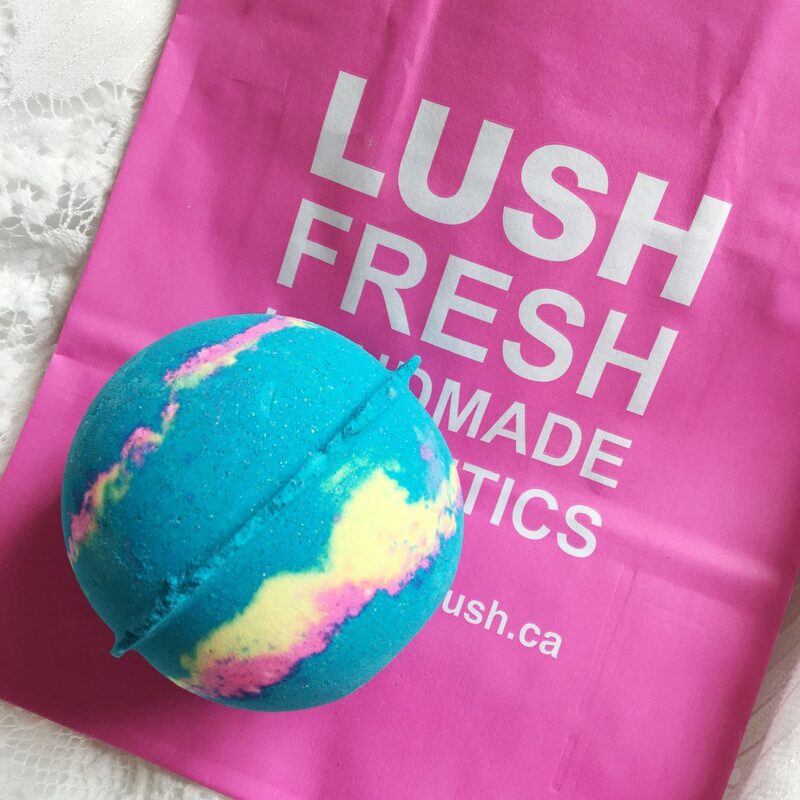 The intergalactic bath bomb is my favorite, too! I love all lush products, these sound so wonderful. I’d recommend the Happy Happy Joy Joy conditioner, it smells so divine! The only product i’ve not tried is the conditioner but love the rest of the bath bombs and bubble bars. 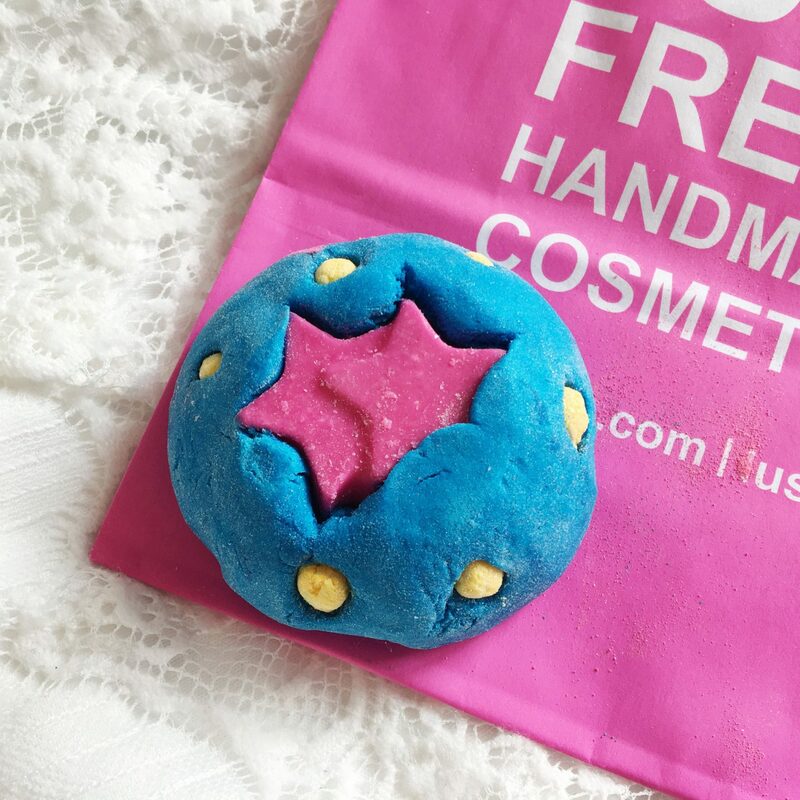 I’ve not been to Lush since Christmas, i’m beginning to think something is wrong with me haha, this has totally made me want to pick up some goodies though. I love Lush bombs! its been so long since I last shopped there! I’m not sure how I feel about Think Pink’s new design! Lovely haul. I love Lush products! I haven’t tried the bath bombs yet but my friend has and she loves it. I definitely need to get myself down to Lush soon this has given me serious bath envy! Rose Jam & Creamy Candy are two of my favourites. 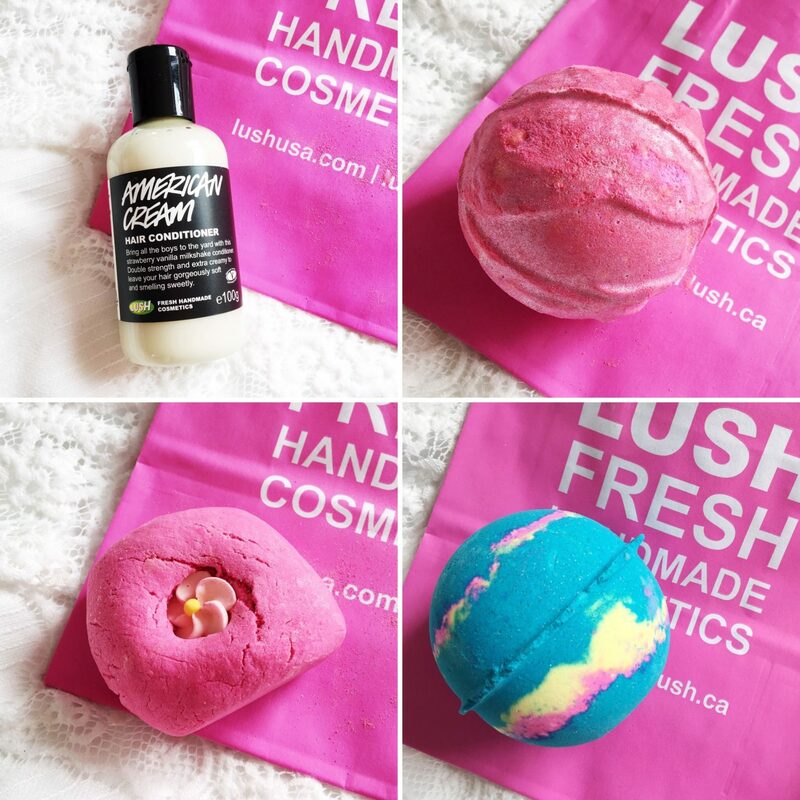 Can’t beat a Lush haul.